Everyone outside of New England is wondering if there's a chance the NFL can give them four hours of their lives back. The Patriots won the Super Bowl last night, something you would've noticed if you were able to stay awake during the lowest scoring SB in league history. A few New York newspapers certainly did and they were not thrilled about it. 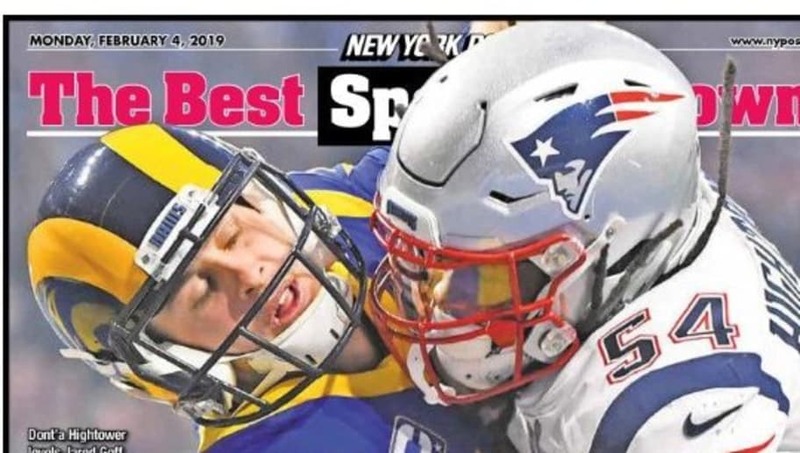 The New York Post and New York Daily News blasted the snoozefest of a Super Bowl with two perfect headlines. Super bored couldn't be more accurate. The only way you can disagree with those headlines is if you love punting for some reason. We saw 14 total punts for 632 yards, the recipe for an extremely dull Super Bowl. It came to the point where people were asking for NBA trades to at least bring some sort of excitement to their evening. It's not like people would've missed anything other than a punt if they had to look at a Woj Bomb during the game. The New York Post doesn't have a leg to stand on, though. If the two teams from the Empire State could at least finish over .500, then they'd have a chance to put on a more entertaining show.